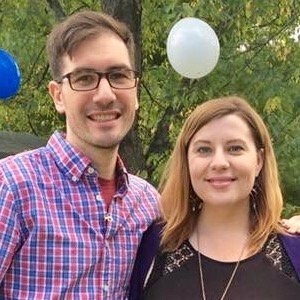 Sarah and Seth Entin had a dream to create a children’s book together. 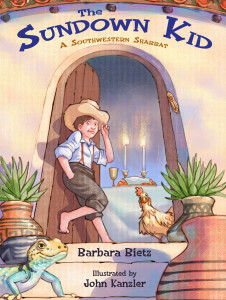 The result is a picture book, Bar Mitzvah Chicken, a playful story about a Jewish chicken’s journey of self-acceptance. The Entins took on the role of publisher in the creation of their book. Not always an easy path, it was clearly a passion project for both of them. What inspired you to write about a Bar Mitzvah chicken? The story of how “Bar Mitzvah Chicken” came to be started with the television show “Life in Pieces”. On one episode of the show two of the characters start working on a kids’ book about a chicken with teeth, which both my wife and I found humorous. We started coming up with other book ideas about chickens and landed on “Bar Mitzvah Chicken”. When the title was spoken out-loud both of us quickly knew there was something special about it and that we should write the story. We believe in inspirational stories so we made sure the concept we started working on would match our ideals. 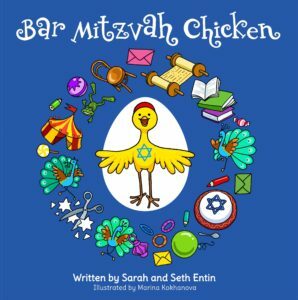 My wife and I spent a lot of time thinking about what issues are out there today that would fit with a book about a Jewish chicken that has a Bar Mitzvah, and we ended on the issue of acceptance. In the world right now many children can feel marginalized and bullied and we wanted to combat that, which is why the story is about acceptance and that it’s not only okay, but wonderful, to be different. 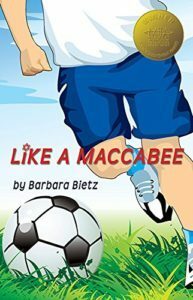 A lot of the elements of the story came from my growing up Jewish, and how sometimes you feel like you do not belong, which I felt a lot around Christmas time. Tell me a bit about your writing process as a team? As with many writing teams, my Wife and I each bring a certain set of skills to the table when writing a book. We start each new book the same by working together and come up with a basic outline of what our story and message should be. Once the story is figured out, I start working on the basic outline of the book coming up with scenes and ideas which we always consider to be our rough draft. While I work on the first draft of the book with discussions with my wife, she starts to refine the language and add additional story elements that help make the story pop. While we both go through this process we talk about what we think is working and not and sometimes decide that we have to start from scratch even if only one of us doesn’t like what they are reading. “Bar Mitzvah Chicken” went through about six different revisions before we found a storyline that worked; at one point Jacob had a human friend and a wise old horse who guided him with advice. I cannot emphasize enough that I think by working together we deliver the best possible versions of our ideas. Like most writing teams there are times we disagree and have to work on finding a compromise, but in the end by us pushing each other we end up with something special. How did you collaborate with your illustrator? My wife found our amazing illustrator Marina Kokhanova on UpWork and hired her after looking at submissions from over 80 other illustrators. When we narrowed down our potential list to 3, we had them each submit an image of what they envisioned for our main character Jacob, Marina delivered the perfect one. We had a very clear idea of what we wanted the images to look like, so we did an outline of the book that we then gave to Marina. Next Marina took our ideas and delivered her interpretations of them. While for the most part Marina sent us back the illustrations we asked for, with her amazing interpretation, she also added elements here and there that were all hers, she really added to the story. One example of Marina really understanding our vision for the book was her addition of the frog that helps comfort Jacob when he feels down at the pond. Overall it was a wonderfully collaborative and rewarding experience working with Marina. What surprised/challenged you most in the creation of your final product? What surprised and challenged us the most in creating “Bar Mitzvah Chicken” was the amount of editing we went through to reach the final draft. There will always be another way the story could have gone, or characters you wish you’d added or feel weren’t maybe necessary in the end. Everyone has their own opinion and you can’t make each one of them happy. It’s wonderful and necessary to have input from beta readers, but you have to remember to stay true to your story and the characters. This entry was posted in Uncategorized and tagged Bar Mitzvah by admin. Bookmark the permalink. 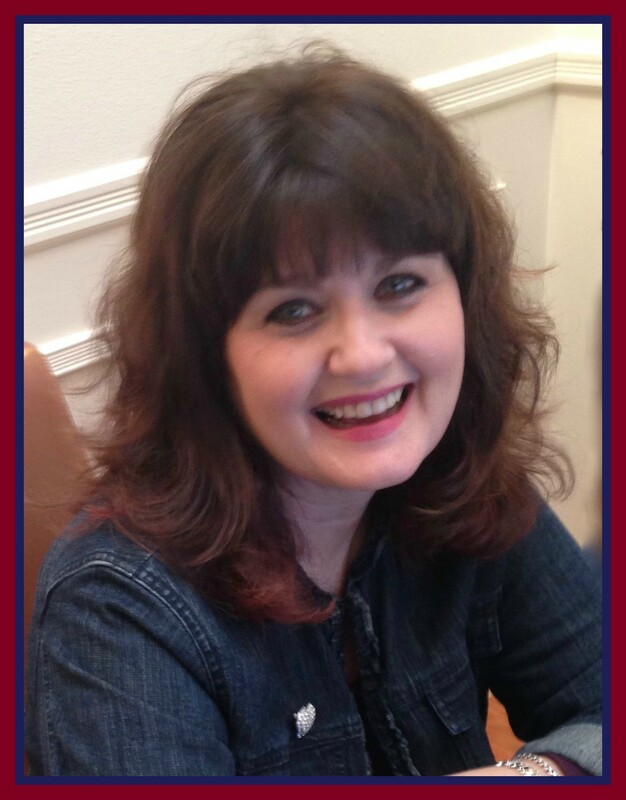 ← Previous Previous post: Welcome Bracha Goetz!